A Thai woman travels to Korea for leisure. During her sightseeing trip she falls in love with a Korean man who works as an actor. 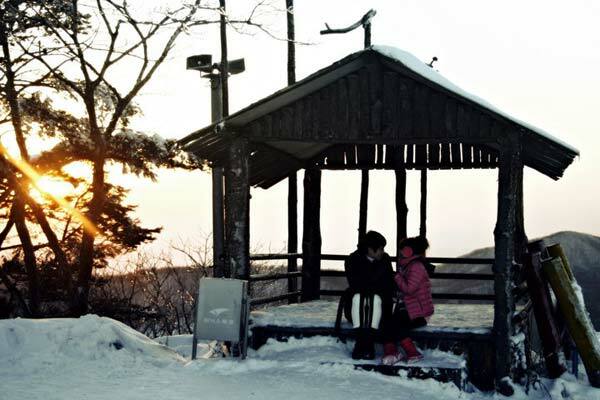 Filming began February 17th in Gangwon Province, South Korea and is expected to last until March 2nd, 2010. Primary shooting locations include Chuncheon City, Pyeongchang County, Sokcho City, & KangNeung City - all in Gangwon Province, South Korea. Movie will be co-produced by Thai company "Film Guru Co.Ltd." and South Korean company "Don't Worry". Im a huge fan of Ajoo and was wondering if there is any way to watch the movie yet (i live outside Asia)?? also if someone know when i can buy it on DVD? the title is 'Komplicated love in Korea' right?? ?